The C.Crane CCRadio-SW is an excellent value for performance. 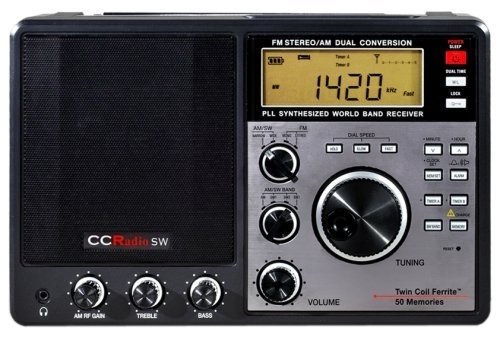 The CCRadio-SW is a larger portable/table top radio (11.25″ x 7.25″ x 3.5″). What makes this radio stand out from its peers? Truly exceptional audio fidelity, very good shortwave and superior mediumwave performance. AM IF Output:	For input into a computer for decoding DRM, SSTV, SSB, CW and more. SW Sensitivity:	Not available at this time. This entry was posted in C Crane, Portables and tagged C. Crane, C. Crane CCRadio-SW, CCRadio-SW. Bookmark the permalink.